Are you intrigued by the idea of working with athletes to enhance their performance and help them overcome difficult situations? Becoming a sports psychologist is one path to working with athletes of any age to improve their mind, motivation, and performance. 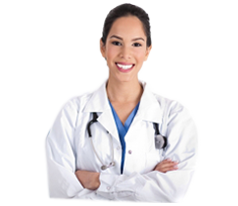 In the article we will explore some of the details of this exciting career. 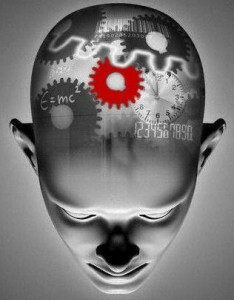 Sports psychology is most commonly defined as the study of how psychological factors affect exercise, motivation, and performance of athletes. In applied sports psychology the practitioner uses the information they discover to help the athlete improve their performance. Educational Sports Psychologists – This group of professionals train athletes on the power of goal setting, using imagery, self-talk, and other psychological tools to improve their performance. This category of sports psychologist is commonly trained in a sports related field like Kinesiology or Sports Sciences and has enhanced their training with psychology courses and skills. Clinical Sports Psychologists – A practitioner of clinical or counseling sports psychology has a higher focus on helping athletes overcome psychological barriers which may be temporarily affecting performance. They deal with depression, substance abuse, eating disorders, and a wide variety of other common psychological issues but with a focus on an athlete’s particular needs. They are graduates of a traditional psychology program and have enhanced their training with studies of athletics and exercise sciences. Both groups can be certified by the Association for Applied Sports Psychology or AASP. The United States does not currently have a formal licensing program for Sports Psychology. 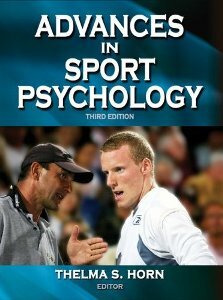 What Are Your Options in Sports Psychology Careers? These are just a small sampling of the opportunities open to a sports psychologist. As you can imagine with a wide variety of employment options a sports psychologist salary can vary greatly. A common salary range for sports psychology is from $45,000 to $80,000/year. Sports psychologist from professional sports teams are commonly paid much higher amounts. The salary of a sport psychologist is very consistent with the sports medicine salary reported for many of the other sports medicine career choices. The difference in these two educations paths is immense. They are almost exactly opposite in their emphasis. The Master of Science in Psychology will train you in clinical psychology first and then add in a smaller section of sports medicine training to supplement the course. The Master of Science in Applied Physiology and Kinesiology focuses on the physical aspects of athletes first and then brings in the additional education in sports psychology second. Both paths qualify as a Sports Psychology Degree and open the doors to many opportunities. Your challenge is to select which pathway best meets your personality, desires, and goals within the career. Do you want a higher emphasis on the psychology of humans, or a deeper understanding of their physical bodies? One important note in all of these sports psychology programs is the fact they are masters programs. Dependent on whether your path will be towards an emphasis on psychology or sport sciences first will determine your undergraduate studies. It is important to note, the AASP is moving slowly towards a higher emphasis on psychology for their certification and their efforts to bring Sports Psychology into a licensed career field. This may indicate your sports psychology education should follow an emphasis in psychology. In the end, only you can determine the right direction to begin your career as a sports psychologist.